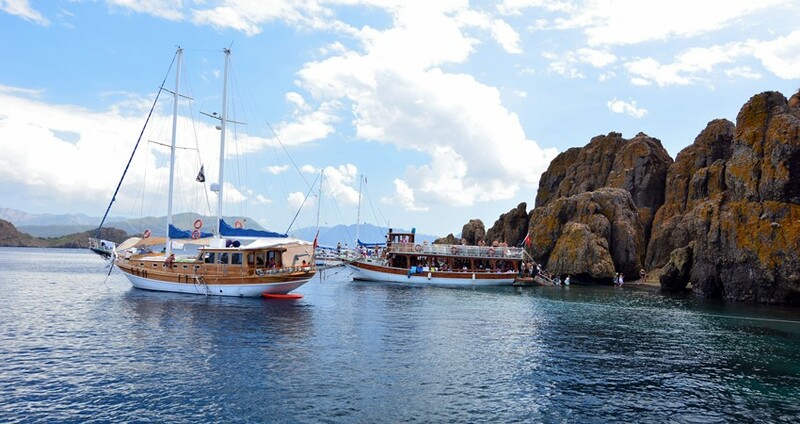 Turunc Aegean Islands Boat Trip is an exclusive opportunity for you to enjoy one whole day long sailing across the Aegean sea and visits to some exotic islands & bays of the gorgeous Turkish coastline. 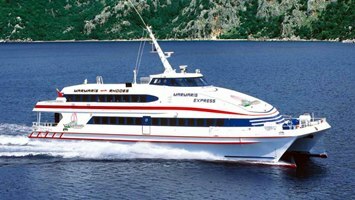 It includes everything that you could possibly need to have a relaxing and fun day on board. Turunc Aegean Islands Boat Trip starts with a complementary transfer from your accommodation place in Turunc., It also includes a delicious lunch, both soft and alcoholic drinks and unlimited beverages such as beer and wine. This lovely tour lasts for approximately eight hours. 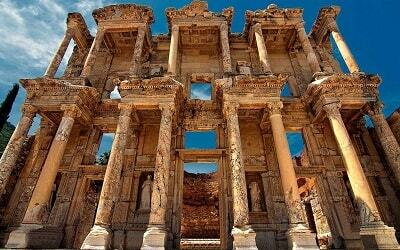 The gorgeous Aegean Islands are well known for their breathtaking scenery, immense cultural heritage, as well as colorful historical facts. 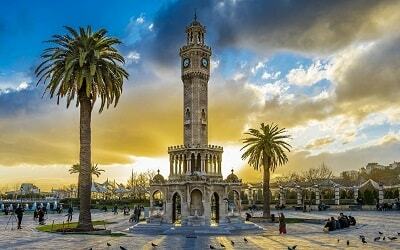 This tour begins with a wonderful visit to Orhaniye village, situated by Hisarony Gulf. 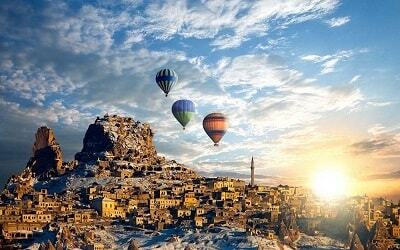 Orhaniye is famous for one terrific natural phenomenon, which attracts visitors from all over the world. This beautiful gulf is divided in two by a long, sandy wall, which tourists get to walk on. It is a unique experience, as you are basically able to walk through the middle of the sea. Our next break will be at Selimiye where we’ll get to take a swim in the waters of a beautiful Hidden Bay, surrounded by some breathtaking scenery. 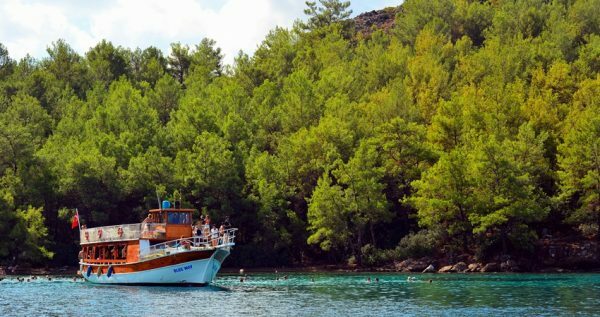 Another swim break will be at the Kamelya Island, and it will last longer, because it includes a delicious traditional Turkish lunch. This gorgeous island is famous for its ancient Greek monastery. We will also take a break at the Rabbit Island, where you will have the opportunity to feed rabbits and take some terrific photos of nature and these lovely animals. Next stop is Dislice (Toothy) Island. This island is very peculiar as it looks like some kind of monument because it is actually made of volcanic rocks. 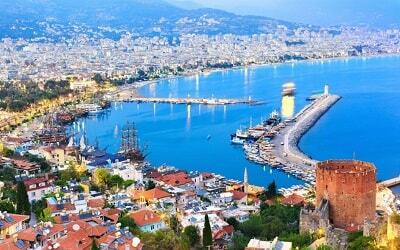 This visit is followed by a break at the Aquarium Bay, as well as a visit to the Jesus Beach which is famous for its breathtaking beauty. At the end of the trip you will be transferred to the Marmaris bus station, where you can catch a dolmus back to Turunc. Reserve your own spot on this great tour and we will give our best to make it as memorable as possible. 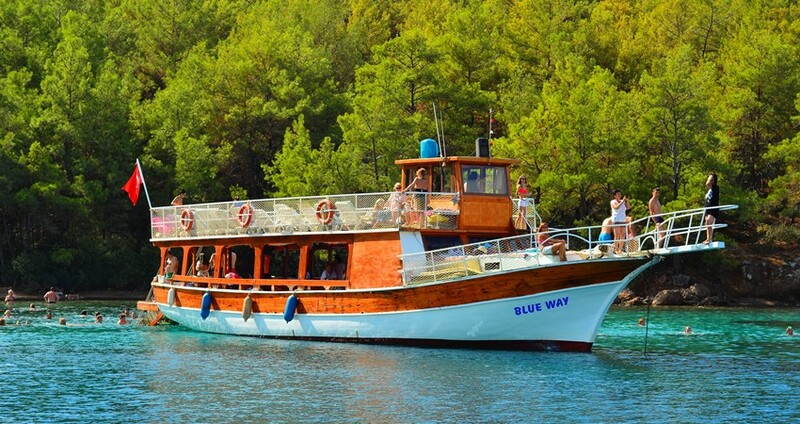 If you like boat trips, please also check Turunc Boat Trip. 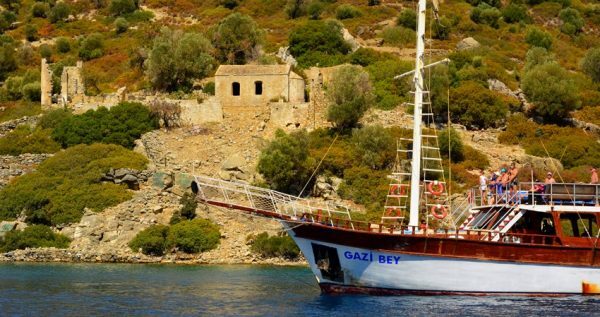 Turunc Aegean Islands Boat Trip begins with a complementary pick up from your accommodation in Turunc, followed by a short and comfortable drive to Orhaniye, where a traditional Turkish boat will wait to take you to an exploration of the Aegean Islands. 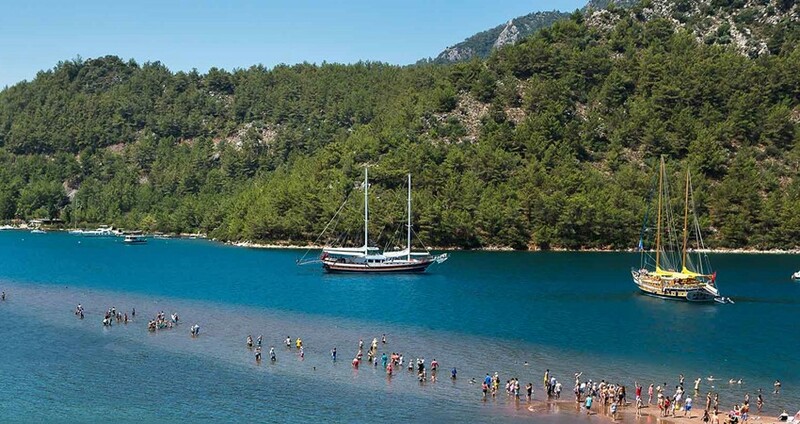 Our first break will be at the lovely bay of Selimiye. 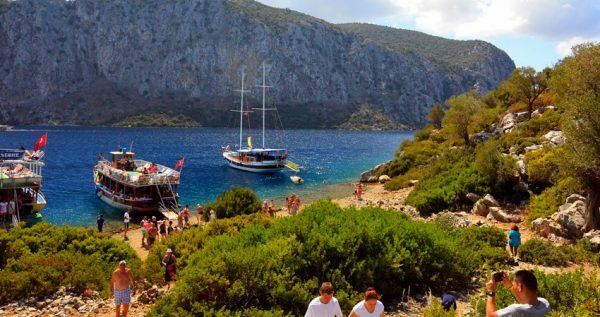 This gorgeous bay is so secluded that it can only be reached by boat. The astoundingly beautiful untouched nature is the main feature of this amazing spot. We will spend 30 minutes here. Kamelya Island is famous because of the remains of a Greek Monastery. 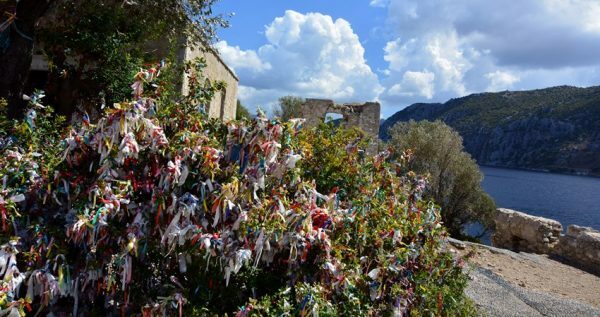 Many tourists visit it and tie ribbons and pray for their wishes to come true. 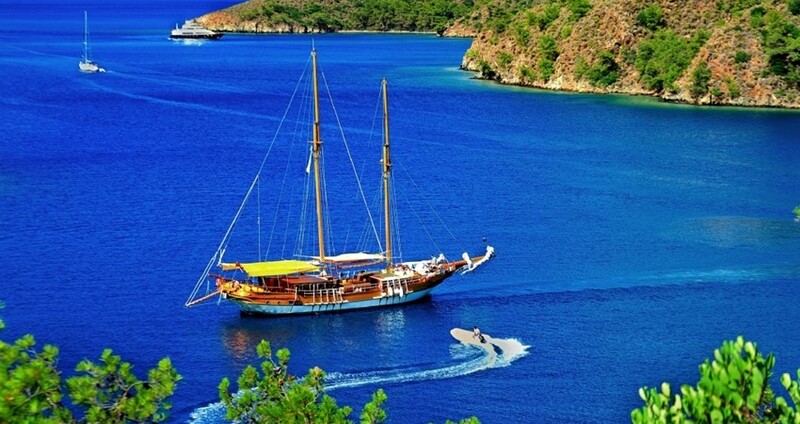 This beautiful island is surrounded by clear blue waters only adds to its captivating beauty. 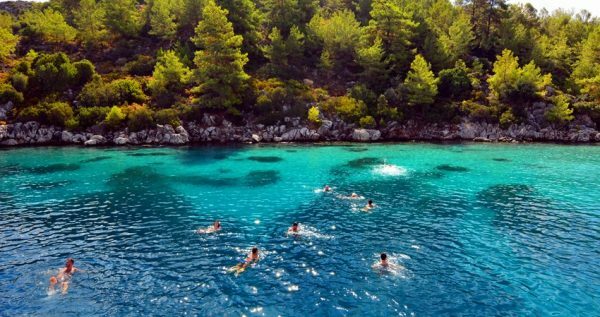 We will take a one-hour swim break here, and afterwards we will have lunch and continue our journey. We will also visit the lovely little island called the Rabbit Island. It got its name because of the large number of rabbits that live here. We will take a 10-minute picture break on this charming island, so you will get a chance to take some great camera shots. Next, we will visit Toothy Rocks, a very small, but very special island, formed by a group of volcanic rocks jutted out of the sea. The island got its name because it looks like set of teeth arranged in rows. We will take a 30-minute swim break here, and then we will continue our journey. Aquarium bay got its name because of the clarity of its waters. This swim break will last for 30 minutes. This is our last break before we head back. During the thirty minutes spent here, you will get to take a walk on a naturally made wall of sand which divides the gulf in two separate floras. Once Turunc Aegean Islands Boat Trip is over we get back to the harbor, our shuttle buses will take you to the bus station, so you can catch the next dolmus back to Turunc.